There is an extremely competitive market for reward credit cards, especially those that offer cash back and travel rewards. Just a few years ago, the standard rate of return for a cash back rewards card was 1%, but now, certain credit cards offer much more attractive rewards. So which rewards credit card should you get? Citi offers its Double Cash card that offers the chance to earn cash back twice–once when you make a purchase and again when you pay, while the Capital One Venture card offers double miles on all purchases. Let’s take a look at these competing cards, and then see which one is right for you. The Citi Double Cash card offers customers 1% cash back at the time of purchase, and another 1% cash back when they make a payment, for a total of 2%. There are no limits on the amount of cash back you can earn, and there are no category restrictions. While there is no sign-up bonus for this card, new applicants receive 18 months of interest-free financing on balance transfers, with a 3% balance transfer fee. Other benefits include trip cancellation and interruption protection, worldwide travel accident insurance, and worldwide car rental insurance. In addition, cardholders also receive a damage and theft purchase protection policy and extended warranty coverage that adds up to one year to your manufacturer’s warranties of five years or less. This card is equipped with an EMV smart chip and is compatible with the Apple Pay mobile payment system. There is no annual fee for this card, and customers automatically have their first late fee waived. Unfortunately, there is a 3% foreign transaction fee imposed on all charges processed outside of the United States. The Capital One Venture Rewards card is not a cash back card, but it offers double miles for all purchases, and each mile is worth one cent as statement credits toward travel reservations. Eligible travel purchases include those made from airlines, hotels, rental cars, cruises, and more. To redeem your miles, simply make purchases the way you normally would, and then redeem your miles later for statement credits to offset those purchases. In this way, you can even earn points and miles from your award travel, and you are still eligible for upgrades, unlike traditional airline and hotel awards. New cardholders receive 50,000 bonus miles, worth $500 after spending $3,000 on new new purchases within three months of account opening. Other benefits include access to Capital One’s Credit Tracker app which includes a free TransUnion credit score as well as a what-if simulator to give you an idea of how future actions could affect your credit score. This card is a Visa Signature card which gives you access to travel upgrades and savings, as well as shopping discounts. Other Visa Signature benefits include a complimentary concierge service, access to special events special, and an extended warranty policy. 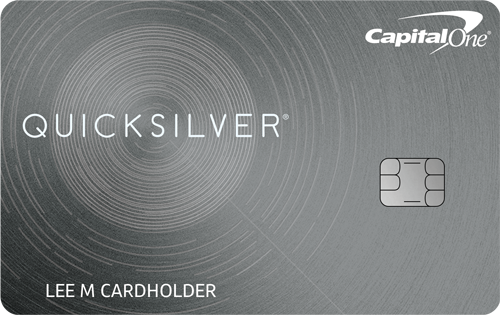 This card is equipped with an EMV smart chip, and is compatible with the Apple Pay mobile payment system. There is a $95 annual fee for this card that is waived the first year, and like all Capital One cards, there are no foreign transaction fees. 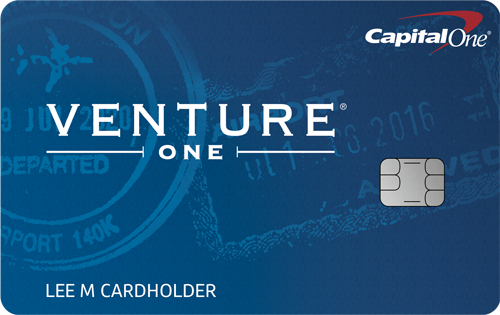 Alternatively, Capital One offers the similar VentureOne Rewards card. It works much like the standard Venture card, except it has no annual fee and earns only 1.25 miles per dollar spent. New VentureOne applicants earn 20,000 bonus miles, worth $200 in travel, after spending $1,000 within the first three months of account opening. This card also offers new applicants 12 months of interest-free financing on new purchases. The Citi Double Cash card offers many advantages, including the ability to earn cash back instead of travel rewards. This means that cardholders can receive their rewards directly, rather than having to claim statement credits towards travel reservations. For those who travel infrequently, this can be a significant benefit. Furthermore, the Double Cash card has a stronger promotional financing offer of 15 months of 0% APR on both new purchases and balance transfers, while the Capital One Venture has no promotional financing. On the other hand, the Capital One Venture card has several strengths that can outweigh the advantages of the Double Cash card. Although it has a $59 annual fee, it also features $400 worth of miles as a sign-up bonus. And considering that the first year’s annual fee is waived, it will be at least seven years until Venture cardholders pay more in annual fees than than they’ve earned from the sign-up bonus alone. Furthermore, Capital One cardholders are free to use their card anywhere in the world without incurring unnecessary and expensive foreign transaction fees. 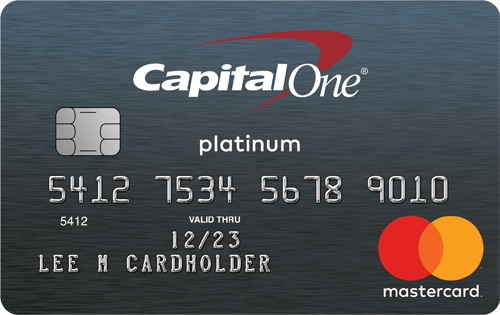 Finally, the Capital One Venture card has a slightly better range of benefits as it is a Visa Signature card. Those who value cash above all else, and rarely travel, may prefer the Citi Double Cash card, while those who want to earn a valuable sign-up bonus and use their card around the world will be more likely to choose the Capital One Venture. Either way, these two outstanding products are tough to beat.